With its specially designed shape, this saddle seat cover made of genuine lambskin fits perfectly on English saddles. 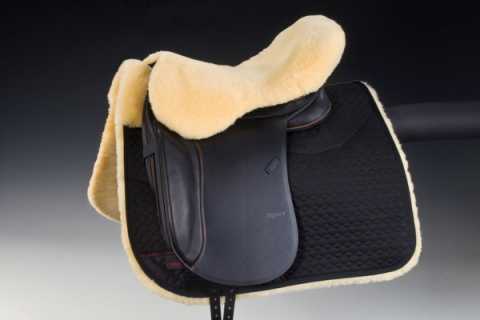 It offers the rider a very high degree of comfort, softness and warmth. It is fixed by pulling it over the cantle and with a Velcro strip through the saddle channel. Two rubber bands fasten it at the side. The article is machine washable with a special lambskin detergent and you can use a tumble dryer. As washing detergent we recommend our product "C 7". Please consider our care references at the product.